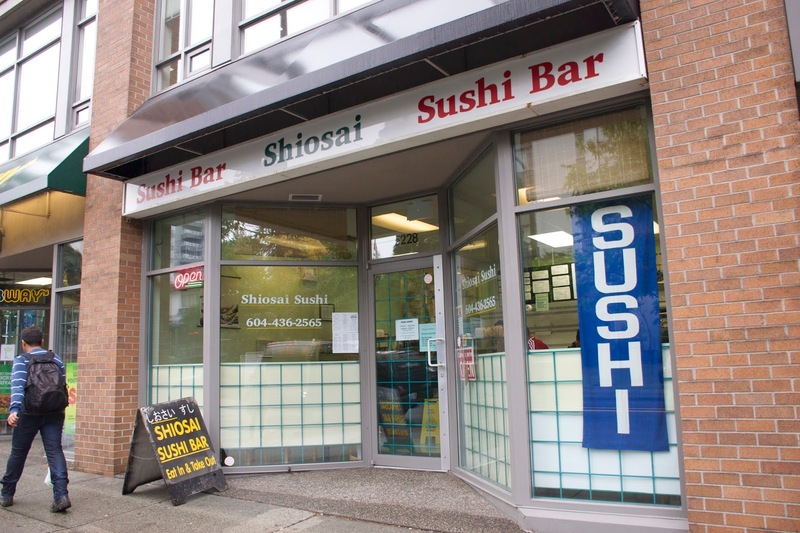 Vancity Noms: Shiosai Sushi Bar - Hidden Gem! Yayy, another hidden gem near Joyce! 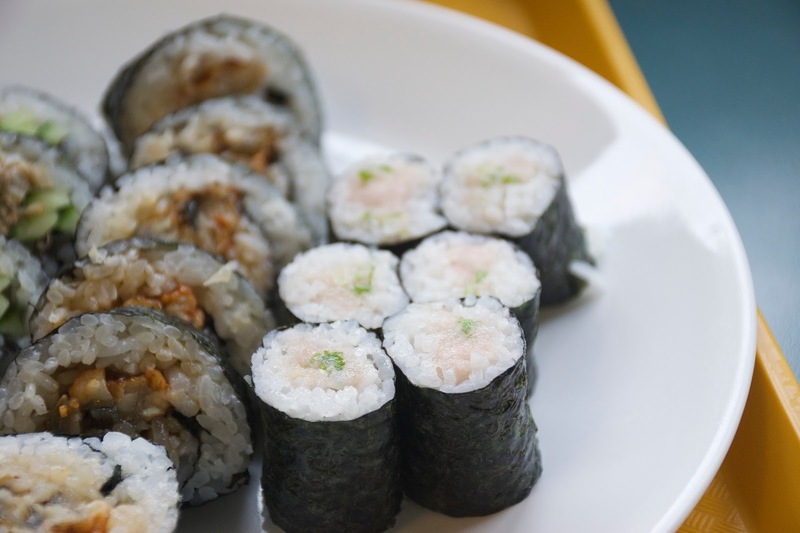 Chances are you've never heard of Shiosai Sushi Bar...unless you live in the area haha! This place is so obscure that there's no blogger reviews on Urbanspoon yet! I found this place while looking for food on my phone and decided to check it out because it had 4.5 stars on yelp and those people are almost never wrong LOL. Shiosai is located right by Joyce Station, across from Cucina Manila so it's super easy to find! Shiosai is run by a Japanese husband and wife team! They only make sushi, there's no hot food available here, so you're out of luck if you're craving tempura or udon! They have all your generic sushi rolls but they also have some speciality rolls! Shiosai operates like a cafeteria, you order and pay at counter and when your food is ready they'll call you. Walking in I was greeted, and they told me to put my umbrella at the door. Service was polite, but not friendly by any means. Walking in, you're hit in the face with the sweet smell of sushi rice!! :D Which proves this place is authentic haha! Shiosai really reminds me of Hi Genki because it gives off that homey, unpretentious Japanese vibe LOL. They have seating along the windows and a few single tables for couples. The place is small but really clean and well lit! 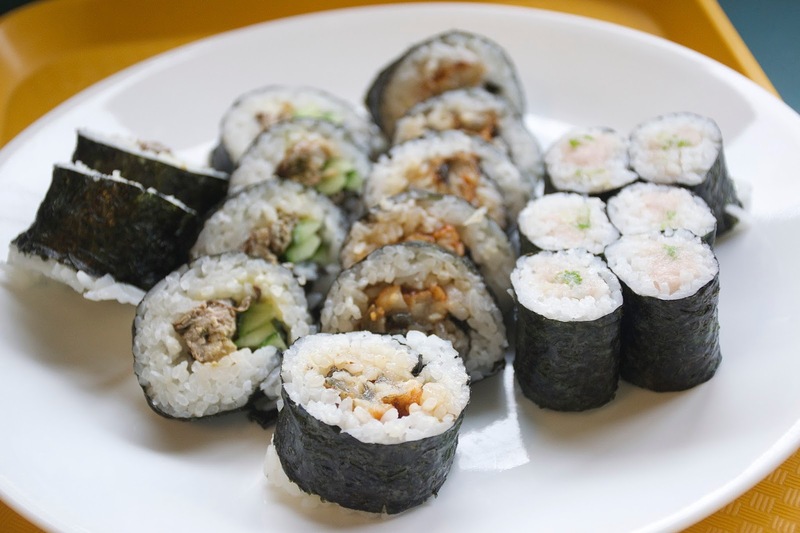 The smaller maki rolls range from $2.50-2.95, and larger rolls go from $3.95-$5! Nigiri starts at $1 - $1.75, which isn't bad at all! Miso soup isn't free but it only costs $1! In comparison to other sushi joints in Vancouver this is definitely one of the cheaper ones! For the price, the portion sizes are quite large and the prices are super affordable! I got 3 rolls for under $10, which is pretty awesome! If you're not really hungry you could just buy one roll for $3! This was larger in size than your average nigtoro roll! The fatty tuna tasted really fresh! The rice was tightly packed so the roll didn't fall apart! I love unagi, so obviously I had to get this! 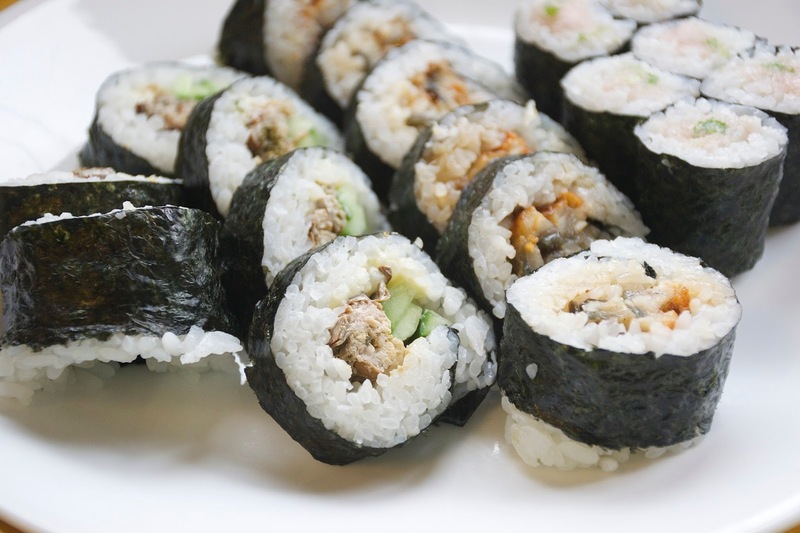 The roll was drizzled with a sweet soy sauce which gave the roll lots of flavour. There was lots of unagi and it was really soft! My only gripe was that the sauce wasn't very evenly distributed so some pieces had flavour while other pieces were bland. Nothing a little soy sauce couldn't fix though! Shiosai is a great neighbourhood gem that serves up quality food at reasonable prices! I wouldn't hesitant to come back! Authentic eats, coupled with fast service make this place an all around great sushi joint!